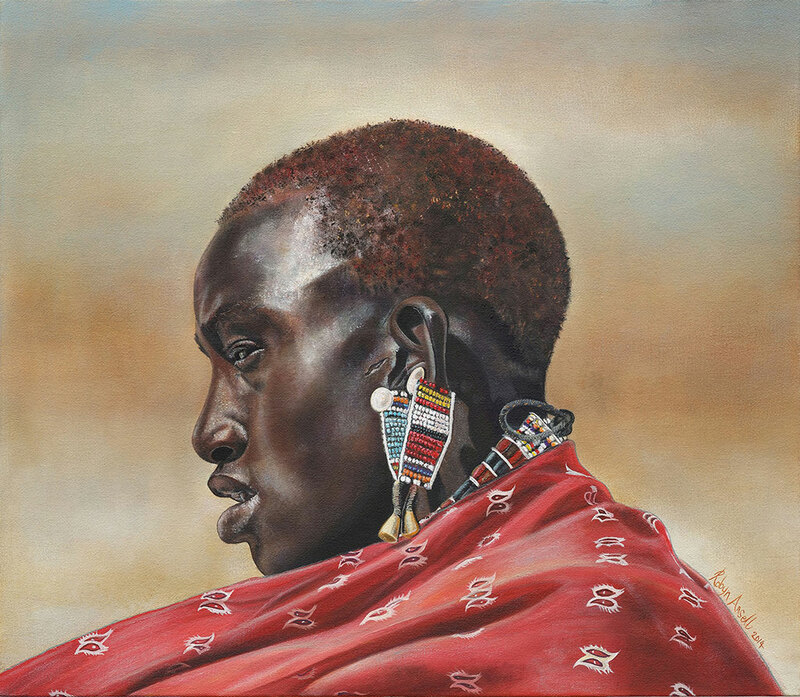 Original image captured by Bev Elsip during her time spent working with the Massai in Kenya. There is something very evocative about this image, the side-ward glance of this young man surprisingly intense. This particular young man was one of the few individuals who was actually attending school, this is indicated by his short hair ( Kenyan schools ban boys from wearing long braids to attain a sense of order and discipline ). The original image had quite a busy background and so I decided to simplify it to allow the subject to stand out. I really love the sheen on his skin and the pop of colour in his ear-piece. This was a great exercise for building up different textures.